Many of you have invested substantial dollar amounts in the purchase of hard drive (HDD) shredders in recent years. If you want that investment to last, you need a good program to maintain it. Hard drives are manufactured with different types of metal components and magnets (and sometimes glass) sandwiched between. Shredding them for long periods results in wear and tear. That means HDD shredders require daily maintenance by operators and periodic detailed maintenance by trained technicians if you want to keep that wear manageable. Let’s start with the daily maintenance. 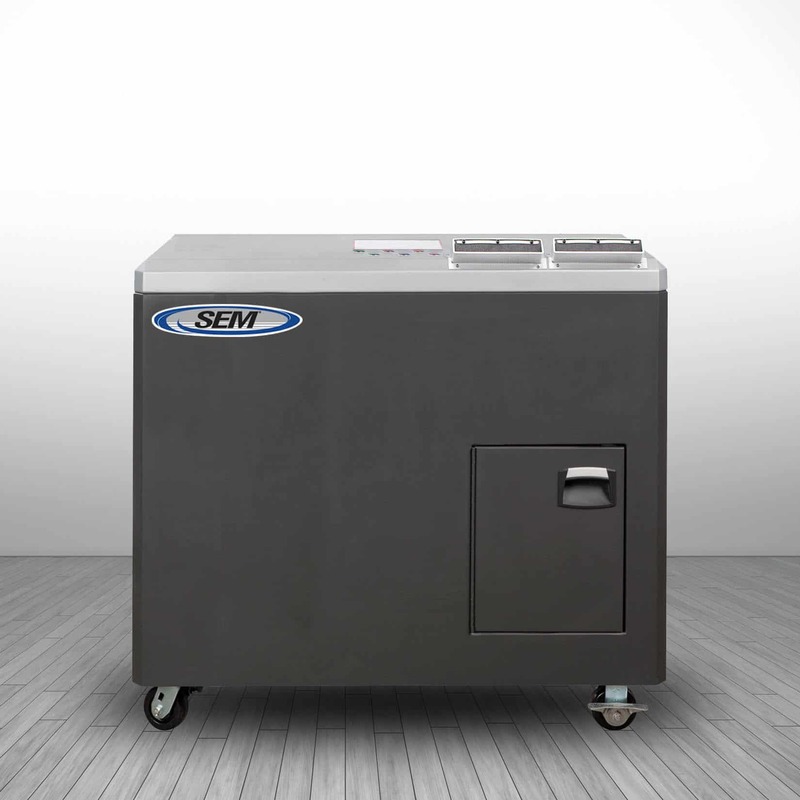 Operators need to watch and clean their shredders daily. Most the of the Models offered by SEM have “debris trays” positioned underneath to catch the fragmented pieces that bounce around and don’t make it to take-away conveyors. These trays need to be emptied regularly depending on volume. If you don’t, you can get clogs that can jam the shredder or damage conveyor rollers or belts. You also need to clean the discharge areas in the backs of the shredders so don’t get build-ups of metal and magnet fragments. Vacuums and compressed air can be helpful. Cutting heads also need to be checked for excess magnet build-up and need to be oiled periodically with a light machine oil.